Today's post is a summary of what I would tell anyone new to the world of investment, from a practical standpoint. So let's start from what we all know and hear a lot. "Anyone who bought land in Lekki 25 years ago when the world's eyes hadn't opened to it are now multi-millionaires". "Those who bought land in Ikorodu in as little as six years ago are now making over 10 times return." We all know how lucrative and wealth building buying land cheap and selling after a few years can be if one chooses reasonably. What most of us don't pay attention to is that it is not only land (real estate) that generate such generous long-term returns. There are many other types of genuine investments with proven excellent returns other than flipping land and houses. Investment should be looked at through two lenses of the same spectacle. One is long-term investment and the other is short-term investment. 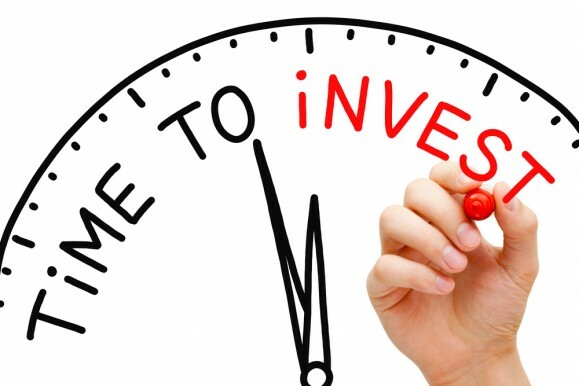 Short-term investments are the ones that guaranty the original capital invested. More like a better alternative to putting your money in the bank. Long-term investments are like building a house to rent out. You first have to spend the money, tying it down for years, before thinking of getting back the capital. The trouble I see most people make is that they want what is not realistic. Like expecting a short-term investment to yield returns only possible in a long-term investment. In the real world, the guy who puts his N50 million in a fixed deposit account should not expect to make as much gains as the guy who used his to build a house in Ikeja for rent and ultimately sell. Why? The real estate guy had to tie his N50 million for the number of years it took him to buy a land, build the house and patiently collect yearly rent before he could get back the N50 million naira while the other guy could walk into the bank any day to demand his N50 million. In 20 years time, the real estate guy's property would have fetched him his original capital, an income flow of N2 million per year and the property would be worth N200 million; while the fixed deposit guy would be permanently hooked to a 10% interest rate. Whenever I see someone who is looking for an amazing return on his investment without wanting anything to happen to the capital, I shake my head. We all know that setting up your own business is the ultimate investment, the one with the highest potential returns. But have you seen someone who wants to start a business without first burying the capital? Who wants to be able withdraw the startup capital any day, anytime from the day one? If you are serious about building real wealth then you have to think long-term investment. You have to be comfortable with burying the original capital invested for months and years. If real estate is your thing, then good luck. If you are wanting to start small then consider long-term focused mutual funds. But if you understand stocks and can put in the due diligence, then we are comrades. I do stocks. I understand it and have almost all my investment money in it. I do it for the long-term. Not that I buy a company's stock and go sleep for 5 years but that I am okay with leaving my money there without the intention of cashing out for the next 5, 10 years. I buy and sell shares like a thorough real estate investor will sell low potential properties to fund buying of higher potential properties with an eye for a bumper harvest 10 years down the road. And that's my Investment 101 for anyone just starting out.